In 2008, as the price of oil surged above $140 a barrel, experts said it would soon hit $200; a few months later it plunged to $30. In 1967, they said the USSR would have one of the fastest-growing economies in the year 2000; in 2000, the USSR did not exist. In 1911, it was pronounced that there would be no more wars in Europe; we all know how that turned out. Face it, experts are about as accurate as dart-throwing monkeys. And yet every day we ask them to predict the future — everything from the weather to the likelihood of a catastrophic terrorist attack. Future Babble is the first book to examine this phenomenon, showing why our brains yearn for certainty about the future, why we are attracted to those who predict it confidently, and why it's so easy for us to ignore the trail of outrageously wrong forecasts. "It's rare for a book on public affairs to say something genuinely new, but Future Babble is genuinely arresting, and should be required reading for journalists, politicians, academics, and anyone who listens to them. Mark my words: if Future Babble is widely read, then within 3.7 years the number of overconfident predictions by self-anointed experts talking through their hats will decline by 46.2%, and the world will become no less than 32.1% wiser." "Delicious...a trove of detailed research." "It is a tour de force. Absolutely outstanding." "Gardner squeezes a heavy dose of fascinating social science and recent history into a quick, smooth read that greatly illuminates our penchant for prediction.... In short, it really is an excellent book that anyone who is into the social sciences would enjoy. I highly recommend it." "...knocks the stuffing out of those irritating and pontificating experts on everything." "...an entertaining, well researched guide to decades of totally wrong predictions from eminent figures." "A witty, lively debunking of wrong-headed predictions about the future by 'experts' -- and why we frequently fail to notice their spectacularly dumb mistakes." — Maclean's magazine, which chose Future Babble as the #2 non-fiction book of 2010. "The prose is light and humorous, yet the research and insights are sharp and powerful." "Exhilirating.... a bracingly enjoyable book." "Well-researched, well-reasoned, and engagingly written. I'm not making any predictions, but we can only hope that this brilliant book will shock the human race, and particularly the chattering expert class, into a condition of humility about proclamations about the future." "As Yogi Berra observed, 'it's tough to make predictions, especially about the future.' In this brilliant and engaging book, Dan Gardner shows us how tough forecasting really is, and how easy it is to be convinced otherwise by a confident expert with a good story. This is must reading for anyone who cares about the future." "If you are paying a lot of money for forecasting services—be they crystal ball gazers or math modelers or something in between—put your orders on hold until you have had a chance to read this book—a rare mix of superb scholarship and zesty prose. You may want to cancel, or at least re-negotiate the price. For the rest of us who are just addicted to what experts are telling us everyday in every kind of media about what the future holds, Future Babble will show you how to be a bit smarter than what you usually hear." "If you are interested in the future of the society in which you live, you must buy this book. It is not often you stumble across an accessible analytical work that is so original it approaches genius." "Compelling stuff...Future Babble is chock-a-block with examples amusing and distressing." "A masterful dissection of teleological fallacies...and also a freaking blast." 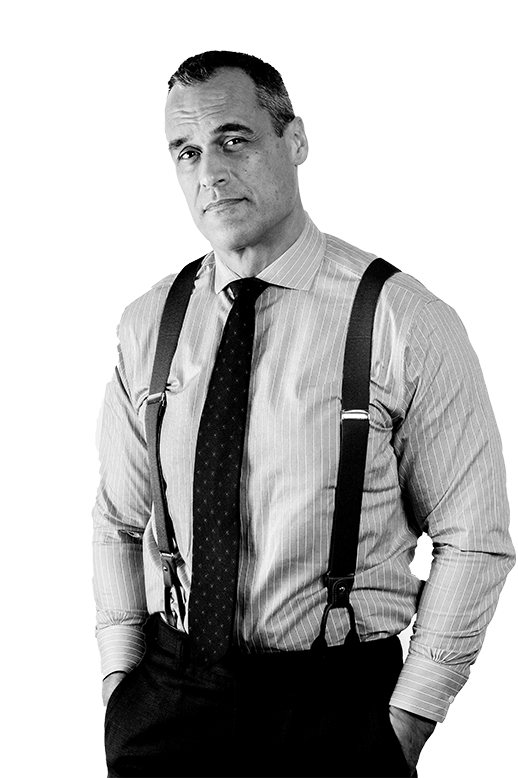 "Dan Gardner is one of the country's few genuinely thoughtful newspaper columnists." 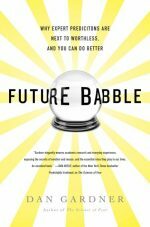 "Future Babble is a bracing, perspicacious and ultimately devastating case for the inability of our so-called seers to call it right."